Netflix is among the world's biggest entertainment companies, and apparently the streaming media and video-on-demand giant isn't afraid to dip its toes into the legal marijuana realm. 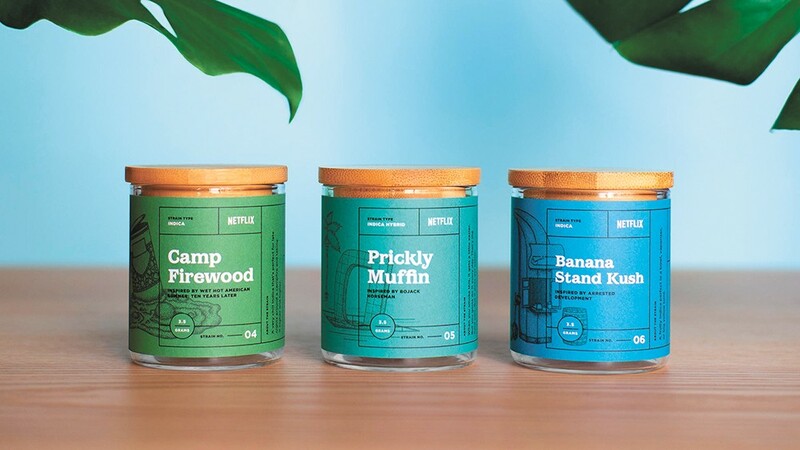 Believe it or not, Netflix actually released a collection of cannabis strains in coordination with a California medical dispensary. While this might sound like the craziest portfolio diversification in the history of corporate America, let me stop you right there — this is all a promotion, and the strains were only available to medical cardholders at a Hollywood dispensary for one weekend. But it was a good idea, nevertheless. Netflix rolled out these strains to hype its new series Disjointed, a comedy starring Oscar winner Kathy Bates about the hilarious happenings at a medical marijuana dispensary in California. For the promotion, Netflix tied particular strains to its original series, many of which relied on deep knowledge of the show in question, but seemed spot-on for those in the know. "Each strain was cultivated with the specific shows in mind, designed to complement each title based on their tone," Netflix said in a press release. "For example, sillier shows may be more indica dominant, while dramedies will be more sativa dominant to help the more powerful scenes resonate." For Arrested Development, the cult classic that got a second life on Netflix as the company waded into original content, there's Banana Stand Kush, a reference to the Bluth family's money-lined frozen fruit operation. Fans of Wet Hot American Summer: Ten Years Later could melt into their couches with the Camp Firewood indica. Fans of the prison dramedy Orange is the New Black could enjoy a sativa hybrid called Poussey Riot. If you're into the depressing yet hilarious Bojack Horseman, an indica hybrid called Prickly Muffin was recommended. The other three strains are named after the new show, Disjointed, but I won't share those names because — sheesh — it's not a good show, certainly not a show that anyone with a modicum of cannabis knowledge is going to appreciate. You can tell that Bates, in her lead role as a hippie-dippy dispensary owner, is trying everything to make this conventional sitcom float, but it's too busy feeding stereotypes to its eager-to-laugh studio audience to do anything but flounder.